The Miombo woodlands are the most extensive warm dry forest type in southern Africa (Frost, 1996), covering ca. 2.7 million km2 across seven countries in southern Africa. In Mozambique, miombo covers two thirds of the national territory representing one of the most important ecosystems. It is also one of the most important ecosystems in the world, playing an important role at the social, economic and environmental levels. Being an important center of plant biodiversity Miombo is a key provider of goods and services, supporting the livelihoods of more than 65 million of people in the region. From the environmental point of view Miombo is determinant to energy, carbon and water balance. 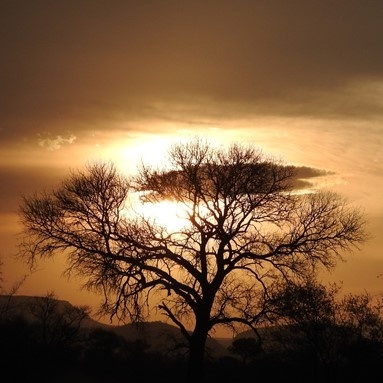 The ecological dynamics of Miombo is strongly influenced by their woody component, particularly by large trees, which play a key role in ecosystem function, primarily in nutrient cycling, accounting for a great deal of the carbon pool. This component is in turn influenced by a combination of climate, disturbances [e.g. drought, fire, grazing and herbivory primarily by elephants (Loxodonta africana Blumenbach) and human activities. Global climate changes constitute another important factor in southern Africa and Mozambique in particular as it is considered vulnerable to those changes. A few studies in region indicate reduction in the population of important tree species as well as modifications in the current fire regime especially increase the fire frequency. This in turn may modify vegetation patterns and thus the associated socio-ecological relationships. In this context, it is important to predict the interactions between climate, fires and ecosystems in order to define strategies to adapt and mitigate the effects of climate change. This project intends to fill one important knowledge gap by investigating the effects of climate changes and fire regimes on miombo ecology in support of adaptation and mitigation actions. The objectives of this study are: (1) To update the land cover and biomass maps for the miombo woodlands; (2) To monitor ecosystem changes in relation to disturbances; (3) To analyse the trace of fires and climate recorded in the tree-rings archives; (4) To predict the interactive effects of disturbances (climate, fire regimes, etc.) on ecosystem; and (5) To assess the availability of forest resources to local communities. Partners: U Eduardo Mondlane, Mozambique; U Lisboa, FCUL, cE3c, Portugal.